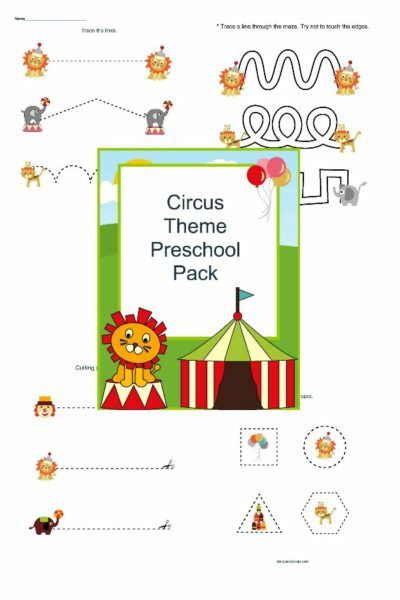 Looking for fun printable learning activities for preschool and kindergarten aged children? My kids love center time at school. They got super excited when I mentioned setting up centers at home for them over summer break. 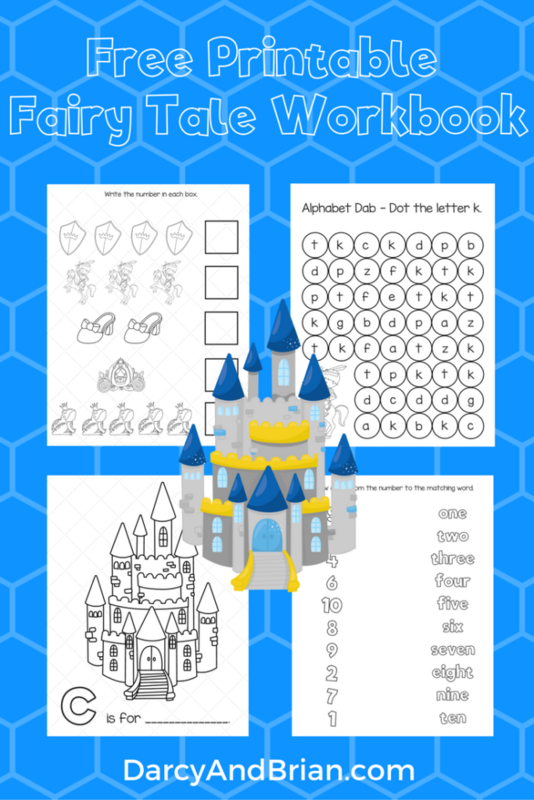 Our free printable Fairy Tale workbook is perfect for a homeschool writing center or to use in a preschool or kindergarten classroom. This post contains affiliate links to school supplies. We may earn a small commission if you make a purchase. I like to provide a variety of learning opportunities at home for my kids. Sometimes we do more hands-on activities like making galaxy oobleck or science experiments such as melting rainbows. Other times we go to the library, read books together, and play quick family board games. I also like to use printable worksheets. 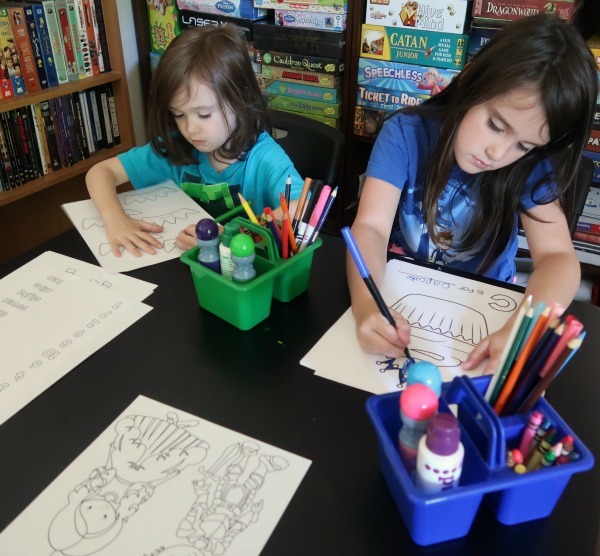 They are great quiet activities to keep the kids busy plus practice their writing and reading skills. Even though the pages in this activity packet are geared more towards preschool and kindergarten, my 7 year old enjoyed coloring the pictures. She still practiced some writing on the fill-in-the-blank pages. These fairy tale printable pages are more than just coloring pages. As I mentioned, it's a great option for a quiet time activity. I know we all need some of those, especially during summer break! There are a total of 11 activity pages included. 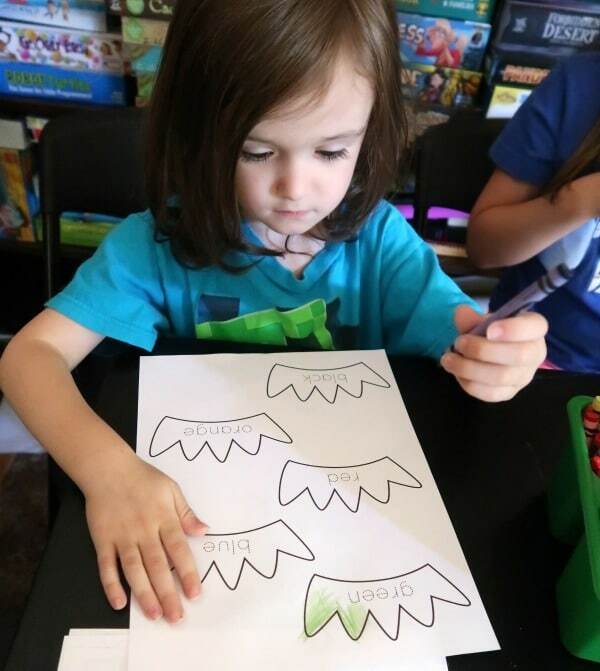 Kids can color in the pictures and words, work on letter recognition, practice reading color words, match number words to the corresponding numeral, and writing/spelling words to fill in the blank under the corresponding picture. There is also one page with counting and number writing practice. 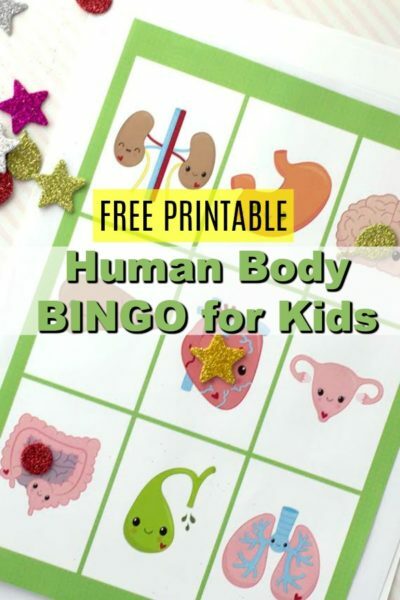 This is a great way to practice and reinforce skills learned in preschool and kindergarten. 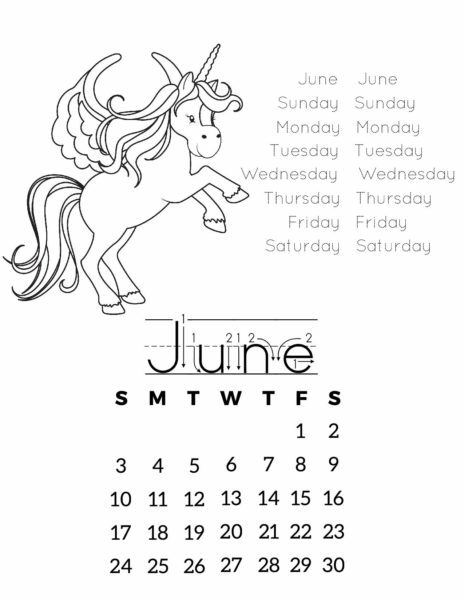 Click the above image to download two sample pages or use the form below to subscribe to my weekly newsletter and you'll receive the complete activity book in your email. There are a few ways you can use the Fairy Tale Workbook. You can print it out and staple it like a booklet for your kids to work through at their own pace. You can also choose to print select pages if there is a particular skill or activity you want them to work on. Although you may print out the pages as many times as you need for personal use, you could laminate some of them for use with dry erase markers. 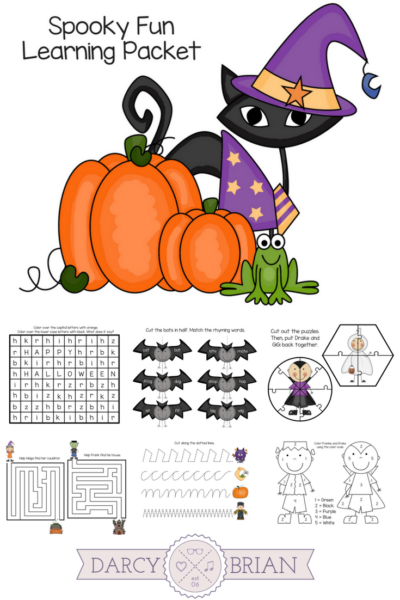 Have your child color the picture in (or you can color it! 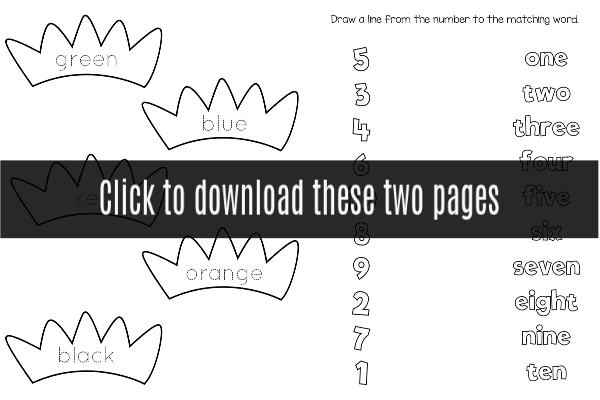 ), then laminate the pages with fill-in-the-blank words, matching, and number writing. These are perfect to use in your own writing center at home! I picked up little bins, trays, and supply caddies at the dollar store then filled them with a mix of colored pencils, markers, crayons, and Do-A-Dot markers. I hope you and your kids enjoy using our printable Fairy Tale workbook!